It's larger, stronger and crazier. 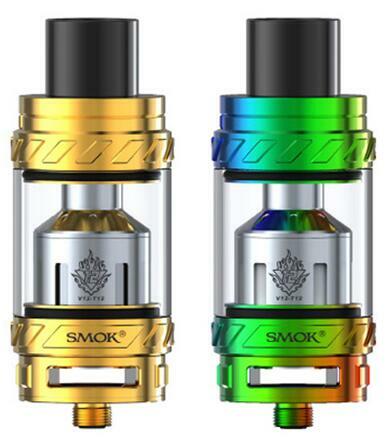 The large size V12-T12, V12-X4 and V12-RBA coil heads improve the efficiency of atomization and compatible with various mods with high power output. The powerful coil heads for the beast tank, it's the sword from the king which makes everything possible. TFV12 features with large size and 6ml juice capacity, which can satisfy several times vaping. TFV12 is just like the true king that's capable with anything. 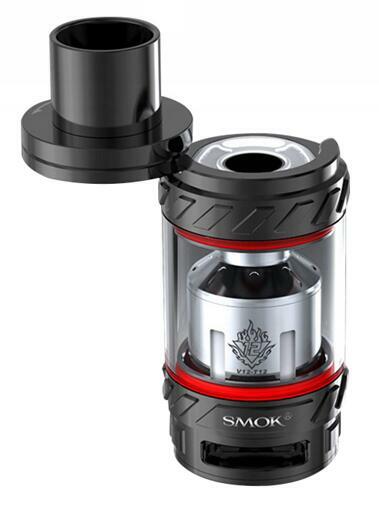 Comparing with TFV8,there's a 3.5mm increase in diameter and 30% increase in air slots area of TFV12, bigger inner diameter delrin drip for much more vapor, just have an open draw with the king's experience.